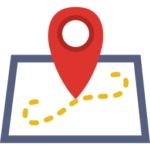 In this English lesson you will learn how we use the difficult English verbs arrive, reach, get to, for place. These words are difficult for some learners because they are easy to confuse. In fact, I often hear learners use these words incorrectly. Let's look at how we use each one. This is a difficult word because of the dependent prepositions that we use with 'arrive'. Remember that we can only use 'at' and 'in'. We cannot use 'to'. How many times have I heard someone say 'We arrived to the airport on time to catch our flight.' Wrong! You need to say 'arrived at'. We arrived at the cinema in time to catch the start of the film. We need to arrive at the train station by 8am. Our train leaves at 8.15. When you travel to a big place, like a city, state or country, we use the preposition 'in'. Jenny arrived in London in May. Just in time for the good weather. We were driving all night and we arrived in Texas at 9.30am. So remember - we don't use arrive with 'to'. Reach means to arrive at a place. We normally use it when there is some type of difficulty to arrive at that particular place. There is no preposition with 'reach'. There was a strong current so it was difficult to reach the shore. News of his father's death took a long time to reach him beacuse he was away on business. As you can see, 'reach' is preferred because of the difficulty of the situation. The strong current made it harder for them to reach the shore. Get (to) simply means 'reach'. It also gives us the sense that it wasn't easy to arrive. After a long hike we finally got to the top of the mountain. We got home late because the traffic was horrendous. In all of the examples above, arrive, reach and get to are being used for place. We can also use them for time and situations. We got to a point in time where we had to take a decision. We arrived at a time in our lives where we preferred the quiet life of a small town. We reached a situation where we had to decide what we were going to do. That's how we use the three verbs arrive, reach, get to in English. Please share the lesson with your friends. Want to study another lesson? Click here. 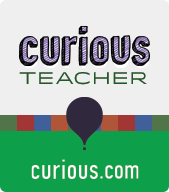 I also have interacive courses and lessons on curious.com. Help me create more lessons by buying me breakfast. I would really appreciate it.